Whether your little one has expressed an interest in dance to you or you constantly catch them grooving around the household, it’s likely that you’ve been trying to find the right dance class to put them in (especially if you’re reading this blog!). 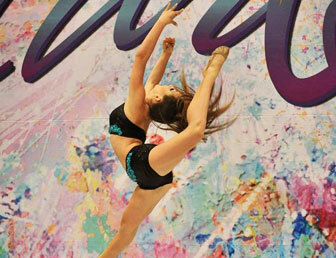 Enrolling your child with Dance Obsession offers so much more than just teaching them how to dance. As discussed in a previous blog, dance class can help them boost their creativity, give them more self-confidence, teach them how to listen and follow instructions, and so much more. But how do you decide which style of dance is right for them? 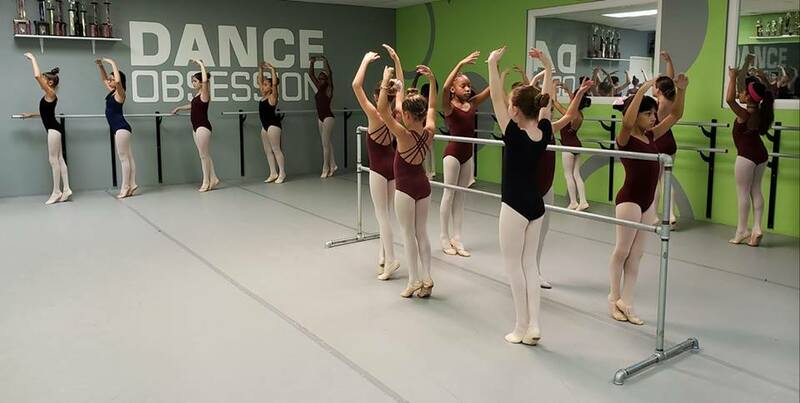 The good news is that at Dance Obsession, we have a comprehensive list of kids dance classes in Palm Beach Gardens, so even if they find that they’re not a huge fan of the first class, they can simply try another form! In this blog, will give you a couple pointers to help guide you, and your child, to the right class. If you have any questions then go ahead and give us a call, or register your child now! What Dance Style Intrigues Them? The most important thing to consider is your kiddo’s interests. They are much more likely to enjoy their time at our dance studio and learn more efficiently if they’re truly interested in the class that they’re enrolled in. It should be pretty easy to figure out what style of dance they like. If they don’t know already, just show them a few videos online and have them choose! Are they more of the graceful type that would adore ballet class? Or would hip-hop dance classes be more to their liking? Let them make the call! Another thing to think about, and to ask your child, is what level they’d like to take their dancing skills to. Are they more into having fun and meeting some friends while they dance, or are they really motivated to become a great dancer? This will certainly depend on their age as well as their current skill level, but we offer kids dance classes for all ages and skill sets so you’re sure to find a class that’s just perfect. The younger one might not know the answer to this one, but as a parent, you likely have a good idea of the benefits that be best for your loved one. Although all dance forms are advantageous, they are also all unique and teach different lessons to the students. Certain styles, such as lyrical and contemporary will help enhance their creativity, while ballet and tap are more structured and will teach your child (along with how to dance) lessons about following rules and working together. 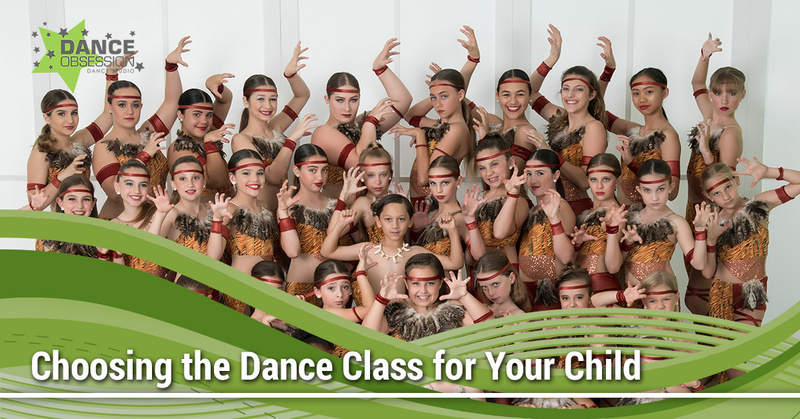 After you’ve decided on the kids’ dance class that would be the best fit for your loved one, the next step is obviously choosing the right dance studio in Palm Beach Gardens. 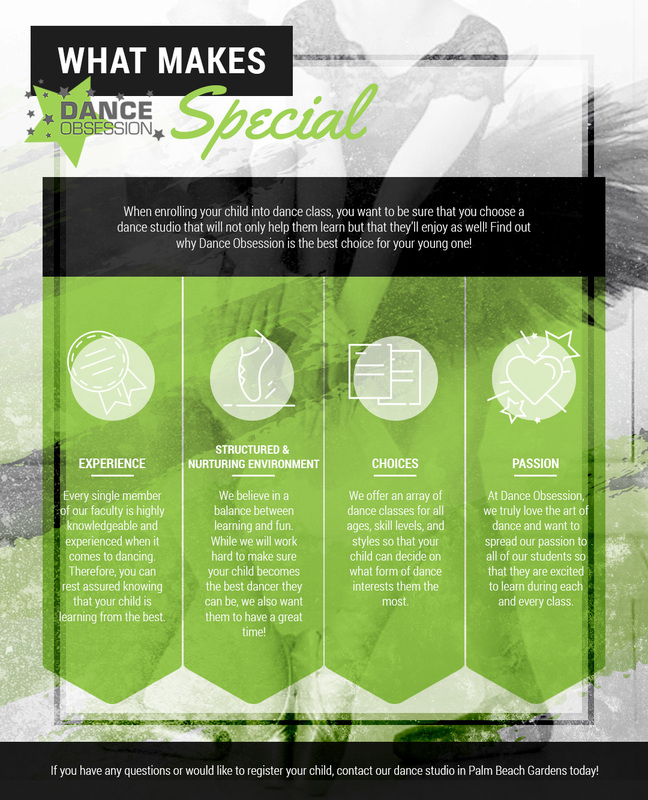 We may be biased, but read through the following as to why Dance Obsession is the obvious choice when it comes to deciding on a studio.